Big badass custom motorcycles are what seems to be trending in the German custom scene. 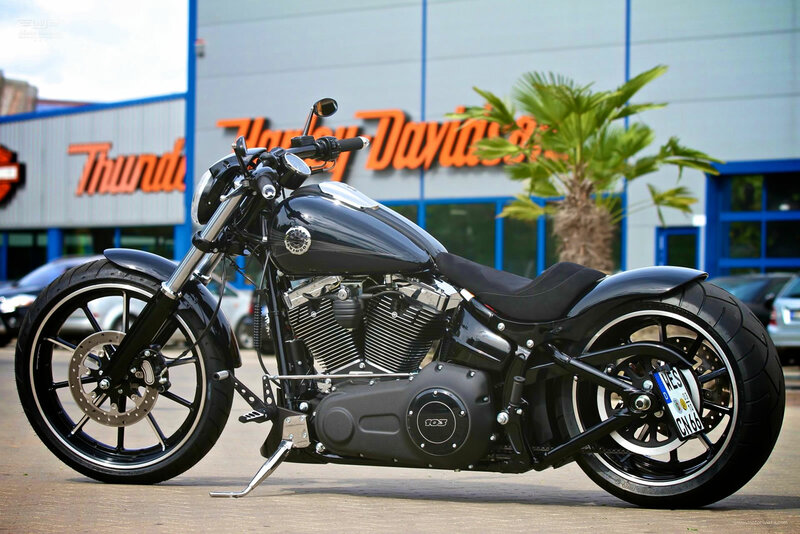 Packed with loads of attitude, Thunderbike Customs Harley-Davidson Softail aka “Breakout” is the feature of the day. The world of custom motorcycles witnessed Thunderbike Customs winning entry PainTTless at the AMD World Championships in 2012. 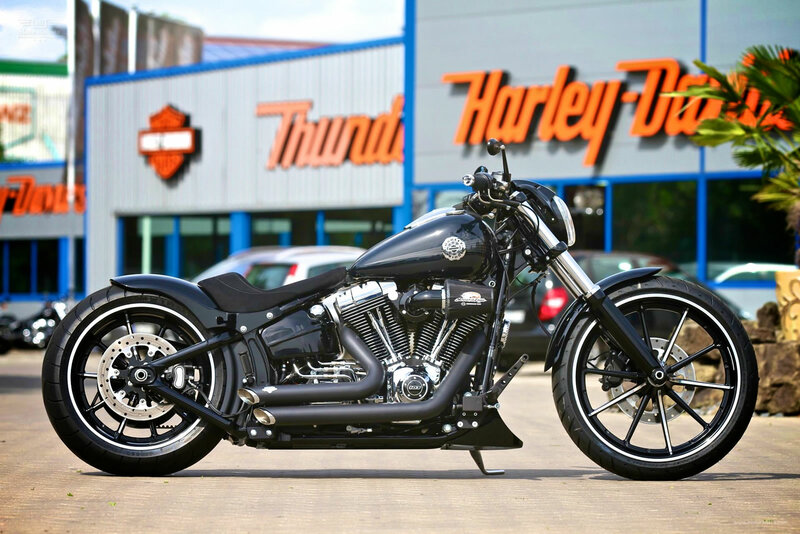 Based in Hamminkeln, Germany Thunderbike Customs is the place to be if you are looking for some serious custom flavors. When it comes to expressing an attitude, Thunderbike Customs might just have the right flavors for you. The majority of the modifications on this custom Harley-Davidson Softail aka “Breakout” are available to purchase via their online store. If you own a stock Softail and are looking to modify it, I bet you will think of modifying the rear first. Now at this point all sorts of crazy ideas will be running through your mind from chopping the frame to the fender. But all that seems too much if you have no clue about what, where and how to modify. 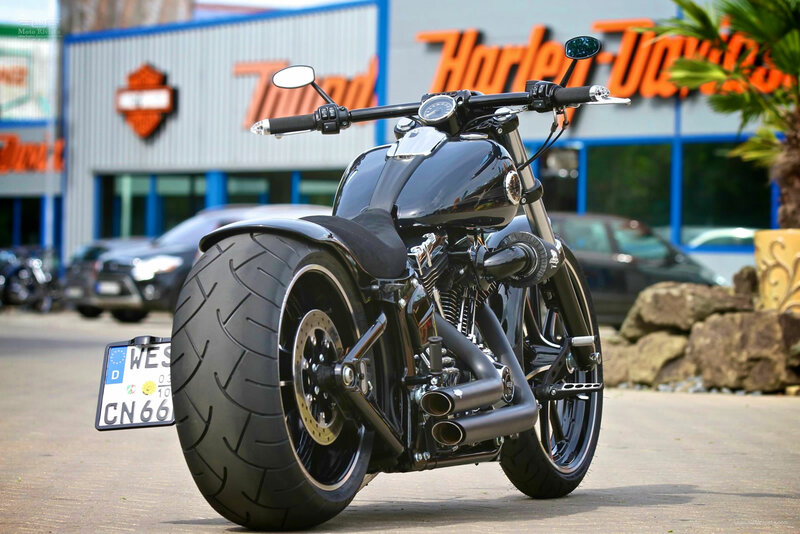 Lets take a look at Thunderbike Customs Harley-Davidson Softail modifications. The base for the build was a 2003 Harley-Davidson Softail. The first set of modification includes a Thunderbike low profile rear fender and Thunderbike single seat. Thunderbike Customs drilled forward controls and side-mount short license plate. The engine is fitted with a Screaming Eagle air cleaner and Vance & Hines 2 into 2 exhaust system. The use of Harley-Davidson VRSC headlight seems to be working on this build. The front turn signals are from Motogadget M-Blaze Con while the rear is from Kellermann Rhombus 3in1. 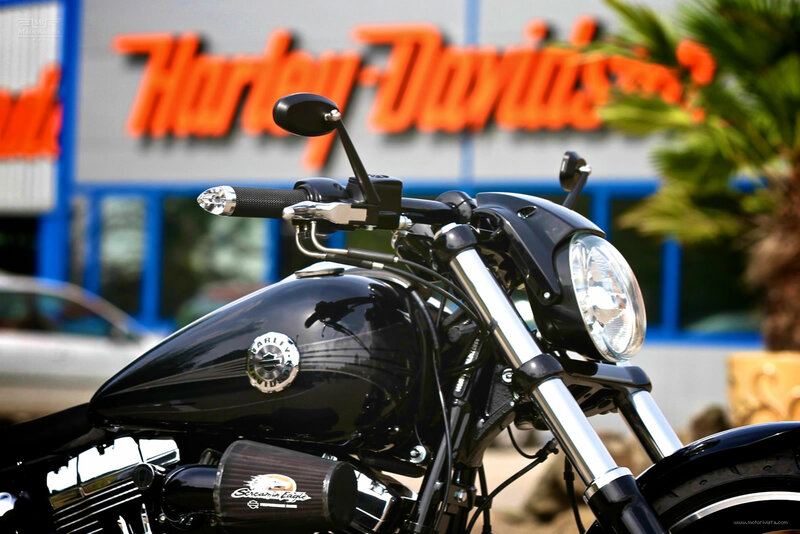 The stock Harley-Davidson front wheel is wrapped in Dunlop D408F and the rear is Metzeler ME88. 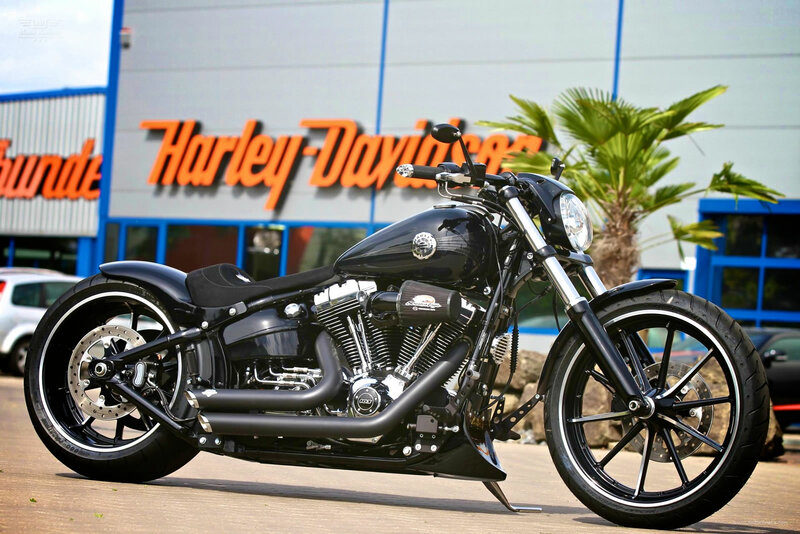 The finished custom Harley-Davidson Softail is ready to Breakout! 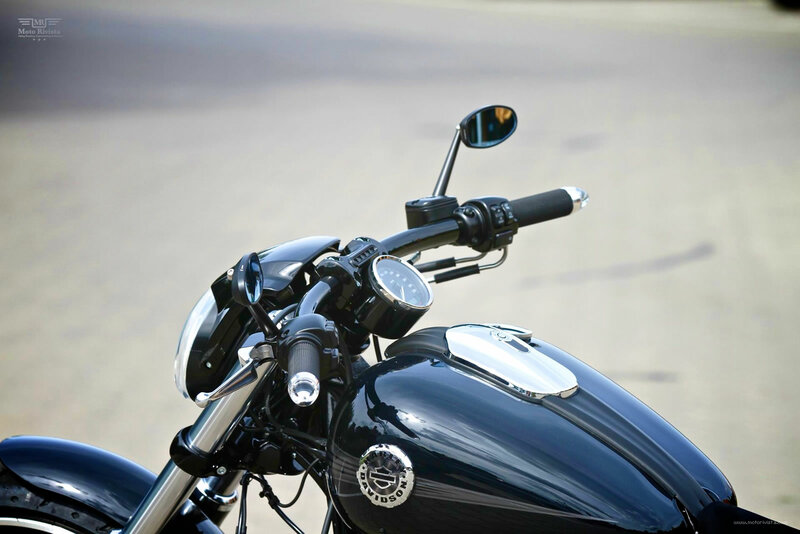 That’s it jump online and grab the parts for your desired Harley-Davidson modification. I am sure you will find a suitable modification style from Thunderbike Customs portfolio.